Once again I found myself perusing the wine aisles of Trader Joe’s looking for a the perfect pairing for a mi-week meal. I can honestly say I don’t know what made me pick this bottle up. Maybe it’s because I didn’t know quite what I wanted and the prospect of these two varietals blended together sounded summer-time perfect. Plus, I’ll admit, I’m a sucker for a good back-flap story synopsis (you know…the mini-story on the back of books… and…wine…). 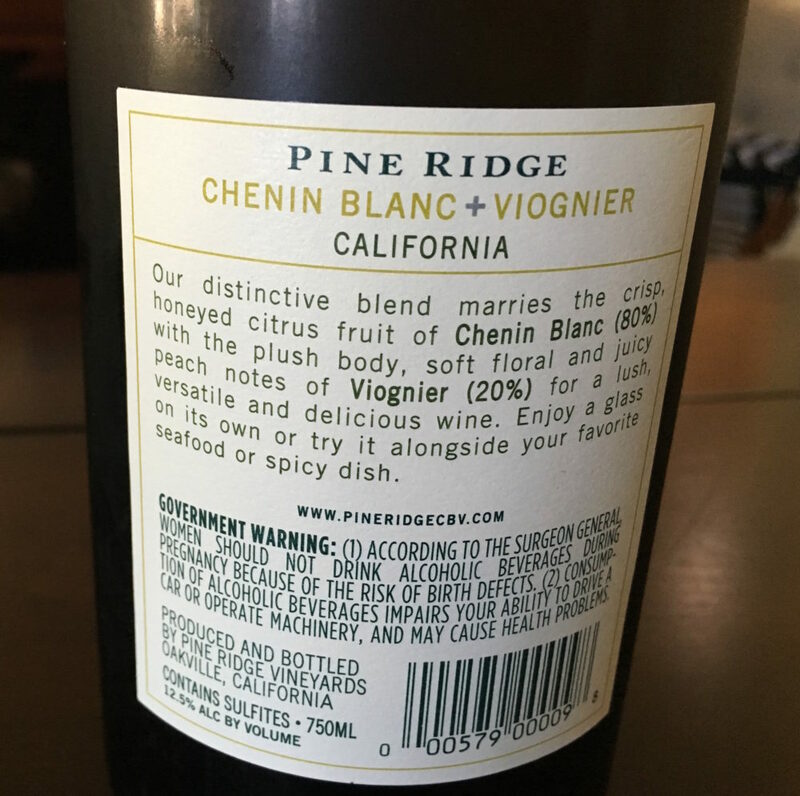 This Chenin Blanc – Viognier blend is the best of both grapes in the bottle. On the nose, I was afraid that my expectations had been let down yet again and that the stereotypes reared their ugly scents once again — the nose is a bit overwhelmingly tropical. BUT, take a sip. Yes, there’s some ripe stone fruits (I’m thinking peaches or nectarines here) alongside some citrus (perhaps grapefruit or Meyer lemon), but it’s counter-balanced so well by the somewhat spicy kick of the cold-climate harvested Viognier. There’s not really an effervescence per se, but there’s a little something that leaves a tingle on the tongue, cutting through the fruit, and eliminating any notion of “sweet.” And yet, the mouthfeel is surprisingly smooth for the duration of the taste, ending in a clean, crisp, solid finish. Food Pairing: I highly recommend this with a fresh and flavorsome seafood dish. Something casual and fun like fish or shrimp tacos (which is what I paired it with), fish and chips, or even a seafood salad. Of course, because of that aforementioned “little something” and the clean, crispy-ness left in the mouth, this wine is so refreshing, it could easily be enjoyed on its own. More Info: Personally, I bought this bottle at Trader Joe’s ($10.99). For more information about Pine Ridge and their wines, please visit their website, where you can purchase wines directly. Honestly, I had such a great experience with this, I’m curious to try more. Oh…right…I mentioned I was initially intrigued by the back label — and I was completely impressed by how true-to-taste it was! You read, you drink, you decide for yourself — and let me know what you think! Cheers!